GParted (Gnome Partition Editor) is a free, open source application which lets you perform disk partitioning operations using a graphical interface. It is easy to use, lightweight application with low memory footprints. You can create, delete, resize, copy or move partitions using this application in a safe way. It is widely used partition editor application due to its stability and abundance of features. Today, GParted 0.23.0 has been made available for download. We will review its noteworthy features and installation process in this article. It is developed in C++ and uses GTK+ framework for frontend. This tool lets you perform complex disk related operations without losing your important data. The most important feature is the support for setting up Btrfs File System UUIDs. 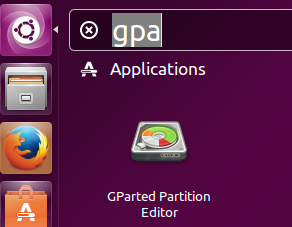 It also comes with enhancements to GPT (GUID Partition Table) option. A large number of bug fixes have been performed for this new release and language translations have been updated for around 20 languages. In order to install the latest Gparted version, first of all download it for your Linux operating system from following URL. Here run following command to start the installation process for new Gparted. Congratulations, GParted 0.23.0 has been installed, launch it from Applications menu. Start using this wonderful application for your disk partitioning operations. Gparted package is included in package manager already, so if you want to install bit old version of Gparted on your system, run following command on terminal. Gparted is a must-have tool for system administrators as it makes performing disk related tasks a piece of cake. Many popular Linux based distributions use this tool on the backend for the partitioning of disks during the installation process.